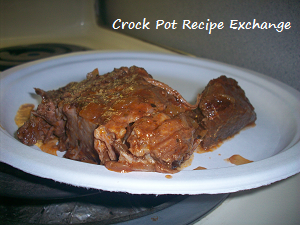 There are a million different recipes for traditional pot roast. Some include vegetables, some are just simply seasoned and some are braised with wines. 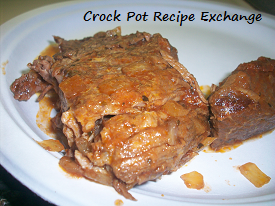 My idea of pot roast is to mix it up a little bit. Don’t get me wrong, I love traditional pot roast with carrots, potatoes and onions. I just want something different from time to time. Ultimately this is how I came to the conclusion that a crock pot pot roast pizzaiola would be perfect. It gives us something different to eat, but with flavors we all love. 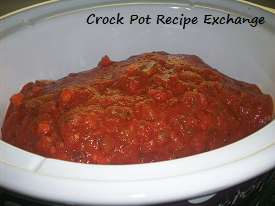 Place the onions in an even layer in the bottom of a 5 – 6 ﻿quart crock pot. They will serve as a bed for the meat to rest on. Lay your roast on top of the onions and then evenly pour the jar of sauce over top. Cook on high for 3 – 5 hours or on low for 6 – 8 hours. Slice or shred and serve with your favorite starchy side. This was wonderful. And I don’t mean just okay wonderful…. I mean WONDERFUL! We had it with roasted garlic mashed potatoes and it was the perfect accompaniment. There was a little bit left over so I’m going to shred it and make it a pizza topping for lunch tomorrow (if the hubs can keep from making beef barbecue with it for a midnight snack). 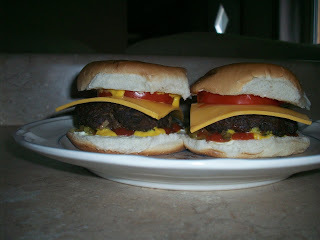 I definitely will be making this again. 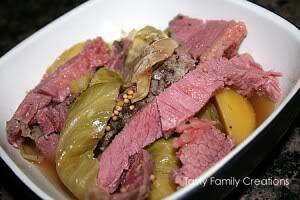 I think it would be great to make when the chuck roasts go on sale and freeze it for tacos, soups and sandwiches. 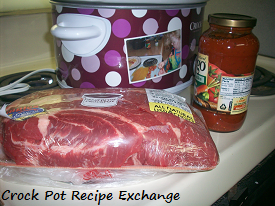 See Crock Pot Pizzaiola Pot Roast on Key Ingredient. 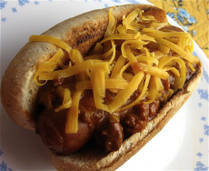 Chili Coney Dogs Crock Pot Hamburger Patties Ronni’s Corned Beef and Cabbage Slow Cooker Beef Roast and Vegetables.